Cajun Shine All ™ is a liquid water based all-purpose wax, polish, and protectant. It is unique proprietary formulation containing micronized waxes, polymers, anti-static dirt & moisture repellants, and ultra-violet blockers, scientifically developed to be applied and used with our Cajun Clean All ™ cloths. The first major advancement in wax technology in over 50 years, providing major advantages over traditional waxes. 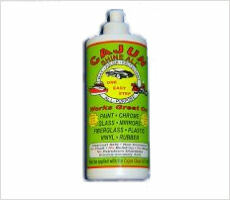 The Cajun Shine All ™ (All-Purpose Wax) 12 ounce refill bottle. You can clean and wax up to six (6) midsize automobiles or up to twenty (20) motorcycles with this 12 ounce wax refill bottle. While our Cajun Shine All ™ will bead water for up to six (6) months on a vehicle, you can apply it more frequently, every two (2) to three (3) months to maintain maximum appearance and protection. Our Ultra Micro Fiber cloth is ideal for cleaning autos, homes, jewelry, etc. It is constructed with thousands of fibers per square inch allowing you to clean without using harsh chemicals or detergents. Specifically designed to use with our bottle of Cajun Shine All, it will provide a lint-free, streak-free shine that will lst mucg longer than conventional waxes. We are currently expanding nationwide. If you are interested in becoming a dealer for our award winning products, please click here. 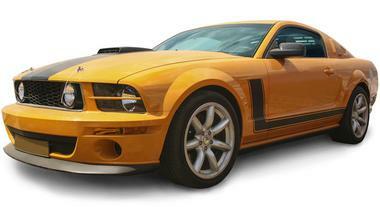 To ensure your success, we carefully select our dealers and work with them along the process.